On April 3, 1973, the first mobile phone call was made by a Motorola employee, Martin Cooper. Ten years later, in 1983, Motorola released its first commercial mobile phone, which sold for $4,000. Another major milestone in the life of mobile phones came in 2007, when Apple unveiled its first iPhone. By 2017, cell phones have become accessible to most Americans: about 95% of Americans owned a cell phone, according to a press release from the California Department of Public Health. And children are not excluded: the average age for a first cell phone is now 10 years old. With such quick penetration into the lives of most people, it makes sense that the scientific studies on how these devices may affect our biology (from cell phones' radiation, blue light, and influence on our brains and attention spans) and emotional wellness will trail behind the enthusiastic adoption and embrace of cell phones. While scientists, schools, and governments around the world have responded to the current (and evolving) body of science with concern, most authorities in the US take the position that there's no proof of harm, and, therefore, there's no need to change your behavior. The State of California, however, reinforced its position as a proactive leader in protecting public and environmental health by issuing a statement on how the public can reduce exposures to cell phone radiation. In December 2017, the California Department of Public Health (CDPH) shared simple precautionary measures people could pursue to minimize their exposures to radio frequency (RF) energy emitted from smartphones and cellular devices. The CDPH advised that children be especially protected from exposures. In this article, we will tell you the reasons you should be careful with how you use your cell phone. While studies on the type of radiation from cell phones have been linked to a long list of possible adverse health effects, this article will detail how it is related to child development, dementia, and neurological diseases. It ends with eight safety tips. What is the radiation from your cell phone doing to your brain? Often, when you are using your mobile phone, you are holding it close to your head. This could be while you are talking on it, or simply holding it near your face while texting or browsing. You do it so often you don’t really think about what’s happening. But did you know that it could be having negative effects on your brain? You wouldn’t stick your head directly into a microwave oven, would you? So, essentially, a cell phone is a microwave antenna which generates microwave radiation. And we know that microwave radiation can penetrate into the brain when you hold the cell phone next to your ear. In fact, it’s related to the square of the distance. So, the closer, you get a much, much greater amount of radiation going into the brain. That radiation and energy, when it hits biological tissues, there is some concern that it may actually cause cells, over a long-term time period, to transform from normal cells into cancer cells. If one was to start smoking when they were 12, we don’t expect them to develop lung cancer when they’re 22. We expect them to develop lung cancer when they are 42 or 52, three or four decades of exposure. In fact, it’s [Radiation penetration] related to the square of the distance. So, the closer, you get a much, much greater amount of radiation going into the brain. The more anyone digs into the research, the more people becomes concern about the unknown long-term risks from our popular use of cell phones. The more you think about it, keeping a microwave-emitting device glued to one side of our heads for hours is probably not a great idea. According to the Environmental Health Trust, experimental research shows that chronic exposure to wireless technology reduces brain cells. It is also shown to cause brain cell death in the memory and learning centers of your brain. In fact, what the research showed us, is that after 50 minutes of a wireless-transmitting-device being next to the brain, there was an increase of glucose in the parts most exposed. This increase of glucose leads to your brain cells becoming insulin resistant. This symptom is a characteristic of Alzheimer disease, and is sometimes referred to as Type 3 diabetes. The above information gives you an idea of what cell phone radiation is doing to your brain, but, realistically, how does it materialize in your daily life? One of the ways you could be feeling these effects is through headaches. If you ever get unexplained headaches after using a mobile phone for a while, or simply after a long time of exposure to wireless technology, this could be from wireless radiation. So what exactly is happening to cause these headaches? The answer starts with your blood cells. Normally, your red blood cells are repelled from each other by their electrical charges. Prolonged EMF exposure causes them to clump together by disrupting their natural polarity. 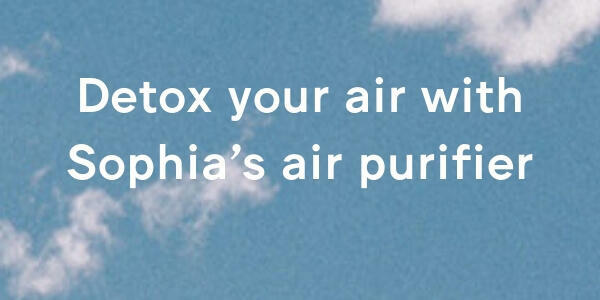 This results in reduced oxygen and nutrient delivery to your brain cells. This could explain your headaches, as well as a low mental energy. The way radiation affects your own health is one thing. But how it affects your children is different. So how does the same cell phone radiation affect developing human brains? Children’s skulls are thinner than adults’. So, they are more susceptible to damage. The greatest risk of brain cancer developing in children’s brains has been associated with ‘ionizing radiation’. According to WHO, although ‘ionizing radiation’ is related to brain tumors, the relationship between ionizing radiation and brain tumors is weaker than between ionizing radiation and other types of cancer, like breast cancer and leukaemia. Most brain tumors associated with ionizing radiation are benign. That being said, consider how vulnerable a developing body is to the elements. When a baby is born, we still pick them up with support to the neck because they do not yet have the strength to protect themselves from harm. The same is true with their internal structure. It is eye opening to look at the chart of images below demonstrating the level of wireless radiation absorption at ages 5 and 10 compared to adults. Imagine a tree. Visualize how the branches naturally extend out from each other as it grows. This is similar to the way the connections in a child’s brain is developing over the first few years of its life. As your child is learning how to survive and communicate, this network of ‘branches’, or connections within the brain, are extending and developing in a natural progressive system. Since this is a crucial point in your child’s development, you need to know how your cell phone’s radiation could be hindering this process. How exactly is your child’s brain affected? There is a large literature on changes in calcium fluxes and in calcium signaling following microwave EMF exposure (partially reviewed in Walleczek, 1992; Adey, 1993); each of these, including calcium efflux changes, can be explained as being due to VGCC activation, again suggesting a widespread role of VGCC activation in producing biological responses to EMFs. Both the high VGCC density and their function in neurotransmitter and neuroendocrine release throughout the nervous system suggests that the nervous system is likely to be highly sensitive to low intensity EMFs. In other words, your child’s difficulty in concentrating as well as other behavioral issues, such as anxiety and hyperactivity, could be a partial result of these randomly sprouted connections caused by the radiation from the cell phones surrounding them. Click here to learn more about effects of EMF on children: EMF Exposures from Baby Monitors + Solutions. One major concern mature adults have with their own well being is the onset of Dementia and Alzheimer’s. The early symptoms of these diseases start decades before a diagnosis. But how is that related to radiation? Among the more commonly reported changes are sleep disturbance/insomnia, headache, depression/depressive symptoms, fatigue/tiredness, dysesthesia, concentration/attention dysfunction, memory changes, dizziness, irritability, loss of appetite/body weight, restlessness/anxiety, nausea, skin burning/tingling/dermographism and EEG changes. These accumulated symptoms have been described as a kind of “brain fog.” That’s the feeling we’ve all experienced when you just can’t quite think clearly. This feeling and its relationship to radiation was addressed by South Korean doctors. What the doctors noticed from their work was that young patients were experiencing cognitive and memory problems after heavy use of digital devices. These particular symptoms are similar to those of people who have sustained previous brain injuries. The risks from EMF radiation and your own well being don’t stop there. Another concern to be aware of is their connection to neurological diseases. Many of us experience symptoms such as an inability to concentrate, increased anxiety, and short term memory loss. These are just a few in the list of associated symptoms from the negative effects of EMF radiation. Other symptoms include over-thinking, insomnia, and hyperactivity. EMFs have been proposed to act to produce a wide variety of responses in the cell, via downstream effects of VGCC activation (Pall, 2013, 2014, 2015), including elevated intracellular calcium [Ca2+]i, excessive calcium and nitric oxide signaling and also excessive peroxynitrite, free radicals and oxidative stress. This results in an over stimulated brain, and the symptoms listed above. You’ve heard of dopamine as the feel-good chemical in the brain. So it seems like the more dopamine that is released in your brain should be a good thing, right? Well, to a certain point, yes. 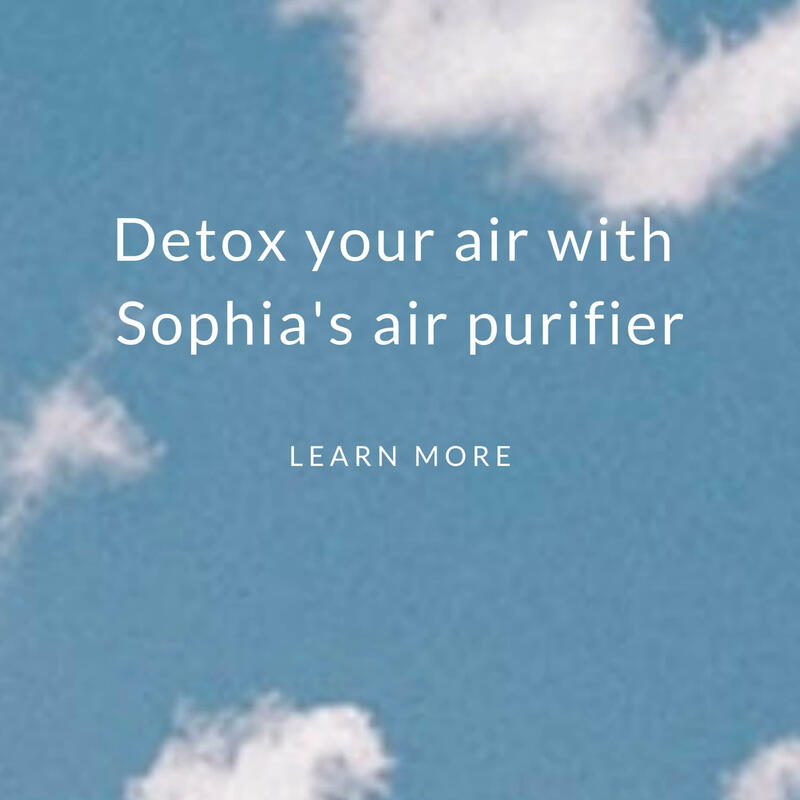 But what EMF radiation may be doing is overproducing dopamine in the brain, which over time actually causes the opposite effect. The exposure of adult rats to EMR may cause disturbances in monoamine neurotransmitters and this may underlie many of the adverse effects reported after EMR including memory, learning, and stress. Once these levels are elevated and then dropped, depression, anxiety, and even OCD can be developed. Even though you are now aware of how your cell phone’s radiation could be affecting you and your family’s health, you know that you can’t just throw your mobile away and move on with your life. The good news is there are still ways you can protect yourself. 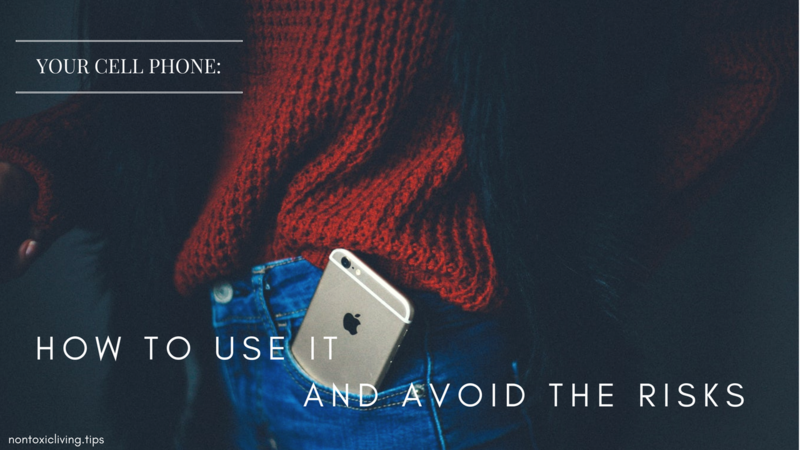 Follow the tips below to prevent unnecessary dangers from your cell phone’s radiation. Tips 3-8 below were also recommended by the CDPH. First, consider what kind of cell phone cover you are using. While a case that covers the entire phone may seem like a good idea, this kind of case actually emits more radiation! The reason is because the phone has to work harder to find a signal, which results in more EMF being emitted. The best solution to this is to place a cover just over the back of your phone. With this cover in place, you should always position your phone with the covered side against your body, rather than the open side where the radiation is coming from. 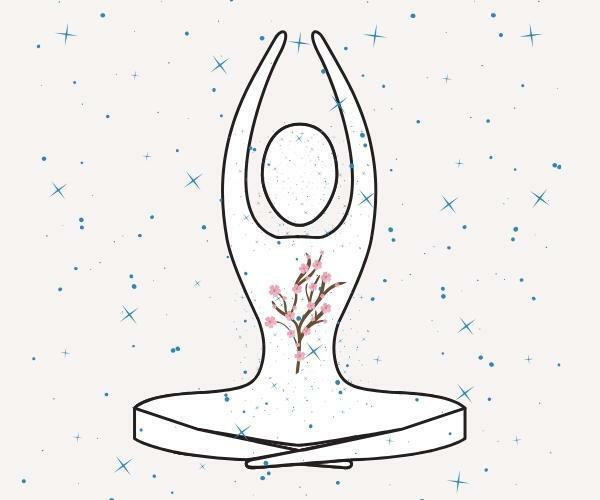 This position will direct the radiation away from your body. 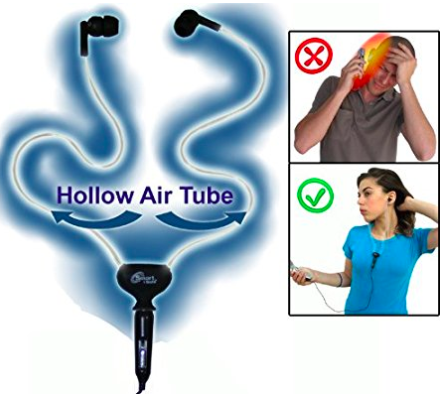 Another important step to take is to use air tube ear phones. These are different from typical headphones in that they substitute air tubes for metal wires to convey sound. These can be inexpensive, and they enable you to use your phone without putting it against your head, which causes a direct line of radiation into your brain. Avoid products that claim to block radio frequency energy. These products may actually increase your exposure. For more information on how to protect yourself, read our guide to protecting yourself from cell phone radiation. For something that is used as often as it is, cell phones pose unknown risks. This articles discussed how cell phones could negatively affect your wellbeing, including your children's. It also highlighted the connection between dementia and other neurological diseases related to your cell phone’s radiation. These are a few of many more reasons why you should continue to learn about the health risks from technology, and continue exploring how to live and work with technology mindfully. 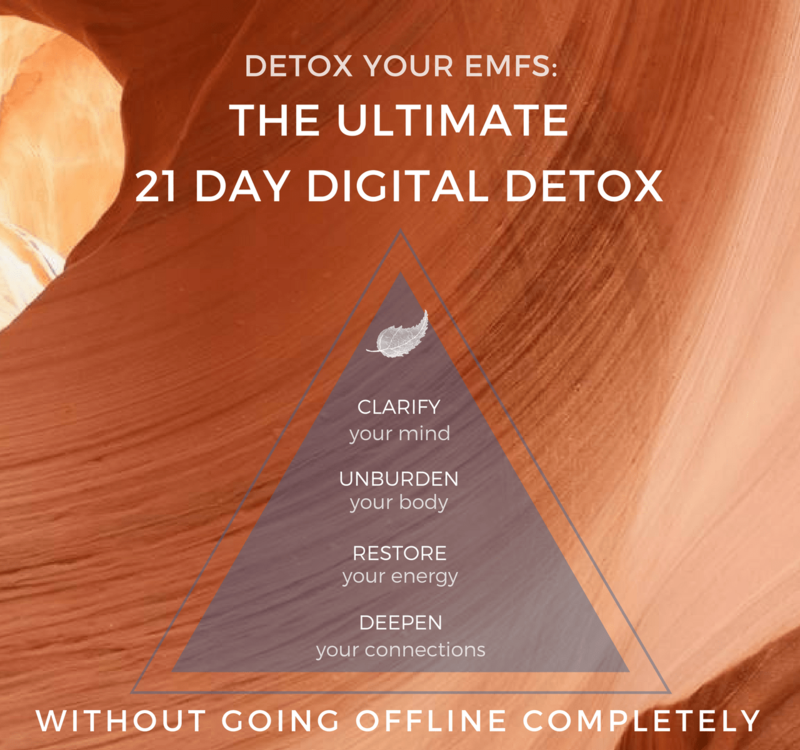 Please consider Detox Your EMFs: The Ultimate 21-Day Digital Detox to learn other ways to manage your EMF exposures. You'll learn other practical tips to be safer with your mobile and other technologies.